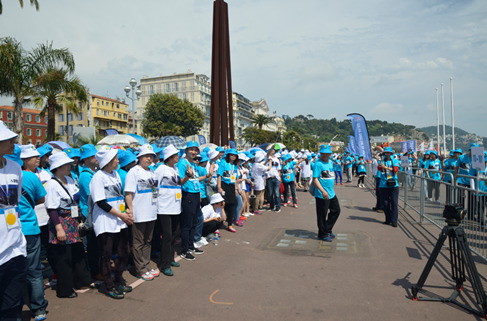 More than six thousand employees of Chinese group TIENS, enjoying a holiday in France at the company expense, rounded off their trip by setting a new world record, which is exposed through the worldwide by more than 100 mainstream media reports and a large number of transmissions. 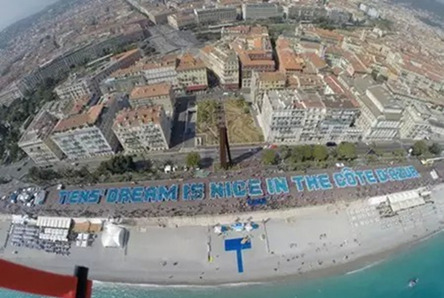 More than 6000 Chinese people of China TIENS Group and some local volunteers gathered in Angel Bay, Nice on May 8 (the 70th Victory Anniversary of World Anti-fascist War) and created a new Guinness World Record by arranging the largest human sentence-“TIENS’ DREAM IS NICE IN THE COTE D’AZUR” successfully, Nice government was also actively involved in and provided lots of materials and the police observation, volunteers etc. IMAGETRANS as the event planner, for TIENS specially prepared a series of large-scale sea/land/air tour commemorative activities. With three tanks, more than 70 World War II Vintage vehicles, 40 ships and three aircrafts, it brought a commemoration of the "peace carnival" celebration for the world and a perfect ending of the 20th anniversary of the Nice Carnival for TIENS. 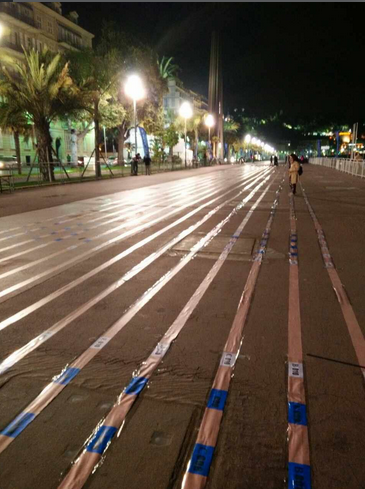 IMAGETRANS created, planned and successfully implemented the activities in Nice, more than 100 mainstream media coverage around the globe like American CNN reported the news, which will become a classic case of promoting enterprise image by event marketing. 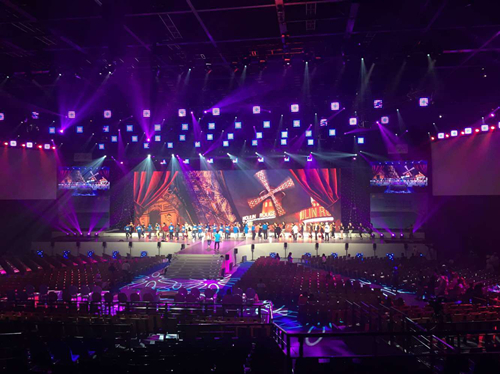 Then, On May 9, more than 50 countries and regions from all over the world and around 6500 TIENS business partners gathered in Palais NIKAIA of Nice, France to welcome the 20th anniversary Carnival of TIENS Group. The Nice Mayor Christian ESTROSI, Vice-mayor Rudy Salles, Chairman of TIENS Group Mr. Li Jinyuan and top management joined in the carnival to together enjoy the beautiful moment. Mayor Christian ESTROSI and Vice-mayor Rudy Salles stated that holding the event successfully between China and France was due to IMAGETRANS’s efforts, every year various forms of communication or economic cooperation could be jointly organized for future. IMAGETRANS, as one of the most professional MICE integrated service provider, by virtue of superior service ability and rich experience achieves the 20th anniversary carnival celebration for TIENS Group. It provides professional MICE services from the perspectives of destination selection, venue selection, theme planning, program selection, stage effects and Guinness activities and land/sea/air show's implementation, mainstream media and publicity for TIENS Group, and in the end achieves unprecedented sensation by event marketing. We IMAGETRANS thank TIENS Group for the opportunity to make a creative planning and implementation of activities, thank Nice government for its vigorous support, and thank all staff of IMAGETRANS for their efforts! Best wishes for TIENS to go beyond, improve, and constantly innovate! Best wishes for two peoples’ friendship!